CANON III: Ecclesiastical Discipline: Disciplinary Board SECTION 1. A. Charges for which a Member of the Clergy may be made to stand trial are contained in the National Canons of the Episcopal Church. B. The mode and manner of submitting information concerning Offenses, investigating, preparing reports and referrals and conducting hearings shall be as established in the national Canons of the Episcopal Church. SECTION 2. There is hereby established a Disciplinary Board in and for the Diocese of Central Pennsylvania. SECTION 3. The powers, duties, and procedures of the Disciplinary Board established under Section 2 and the definition of terms used herein shall be governed by Title IV of the national Canons of the Episcopal Church as revised in August 2009, and shall be effective July 1, 2011. SECTION 4. A. The Disciplinary Board shall consist of members of the Clergy and lay persons. All members of the Court must be persons canonically resident within the Diocese. B. At each Annual Diocesan Convention three persons shall be elected to serve on the Disciplinary Board for a term of three years. Persons elected shall be from each Order as required to maintain the required complement of the Disciplinary Board. C. No member of the Disciplinary Board shall be eligible to serve concurrently on the Standing committee or Finance Committee. D. Vacancies occurring within the membership of the Disciplinary Board shall be filled by a majority vote of the remaining members of the Court. A person elected to fill a vacancy must be from the same Order as the person being replaced. Vacancies must be thus filled within four months of notification of the vacancy unless sooner required by other provisions of the National or Diocesan Canons. 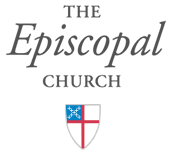 E. Within 60 days following each Annual Diocesan Convention, the members of the Disciplinary Board shall elect, from among themselves, by majority vote, one person to serve as President for a one-year term. F. Within four months following each Annual Diocesan Convention, the members of the Disciplinary Board shall appoint a duly licensed attorney to serve as Church Attorney for a one year term. G. All persons elected or appointed under this section are eligible to be reelected or re-appointed upon the expiration of their terms.